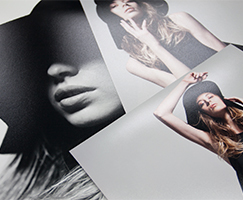 If you need a matted print to a specific size and aperture, hand your file over to us and we’ll take care of the rest. Whether it be to fit an existing frame or a submission for an award or competition, Streets will handle your work with perfect care and precision. In our Streets Online Ordering Software we’ve even set up a special ordering tab for awards and competitions so if your looking to get your images printed and matted for the AIPP awards for example – ordering is a breeze! Both true photographic prints and fine art prints are available for custom matting. These are mounted onto white, 5mm foam core or 2mm screen board which is trimmed flush once faced with a custom cut frame matting board. Different colours are available for matting contact us to find out more. You can order these products or view their prices within the Streets Online Ordering Software (SOOS) here under the Photo Award Printing tab or contact us for a quote.